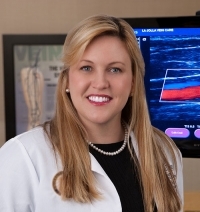 » Watch Next Video by Nisha Bunke-Paquette, MD - How does microphlebectomy help remove veins? Can varicose veins cause health problems? The answer is yes. It is important to realize that varicose veins are a chronic and progressive condition. That means they tend to get worse over time. They can become larger. They can be associated with symptoms such as leg swelling. They can also cause the skin to change. The skin can become dark, especially around the ankles - we call that skin hyper pigmentation. The skin can also become inflamed and scaly, and itchy - we call that venous eczema. And over time, the skin can actually break open causing an open wound, called a venous leg ulcer. Other complications of varicose veins include: phlebitis which is a painful inflammation of the vein; a thrombophlebitis which is blood clotting and inflammation of the vein; and also a varicose vein hemorrhage which can cause excessive bleeding.